This is such a satisfying dessert- it’s super easy, so moreish and such a crowd pleaser. It couldn’t be easier and it’s just about one of the most comforting things ever. The raspberry coulis adds gorgeous colour and a little berry tartness but it’s also heaven just on it’s own with a little cinnamon. 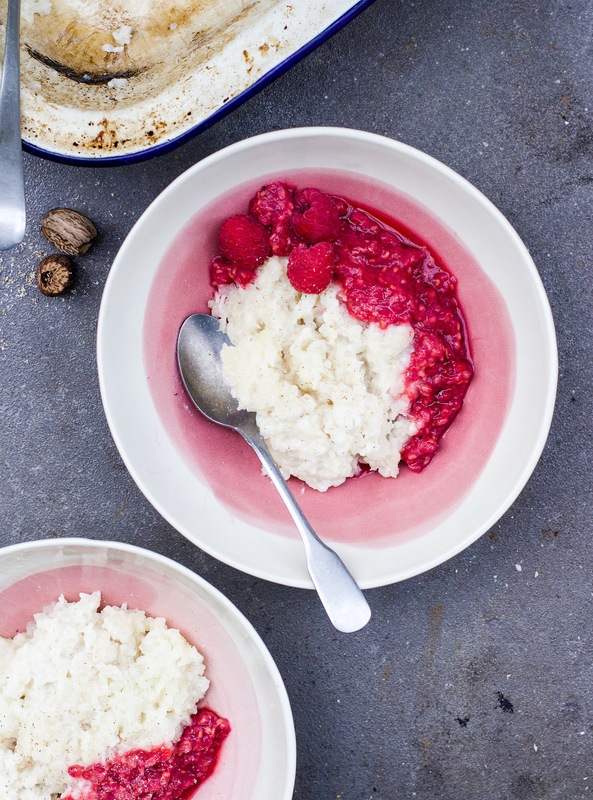 Mix together the rice, maple syrup, coconut milk and almond milk in a medium saucepan. Bring it to a simmer and then pour the mixture into a casserole dish. Sprinkle a little nutmeg over the top if desired. Pop it in the oven for about 80-90 minutes. 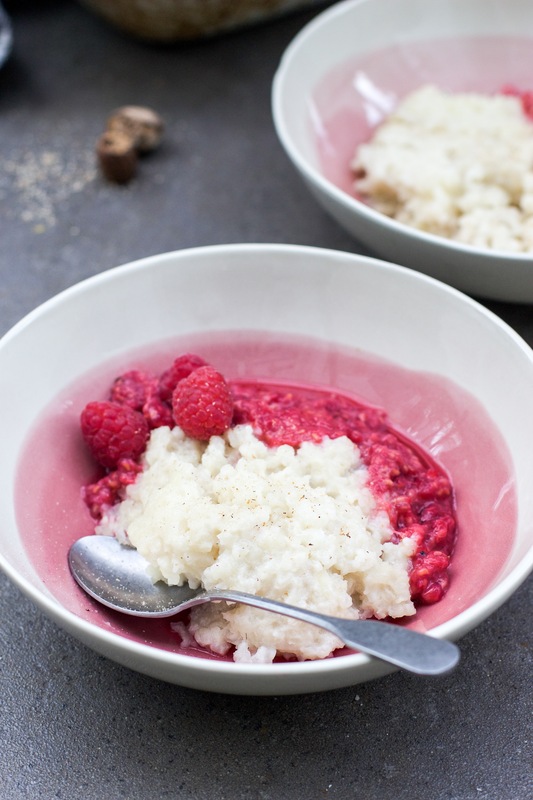 Serve the rice pudding hot from the oven with a little raspberry coulis on top. Short grain rice ? Is this pudding rice ?